Calibre is a key player in bringing together a diverse range of Australian technology and services companies with capabilities ranging from integrated air and ground based sensors, autonomous and semi-autonomous air and ground vehicles, and integrated augmented and virtual reality, 3D modelling and digital information visualisation. The consortium comprises Calibre, Earth Radar, Insitu Pacific, Praesidium Global and Urban Circus, and represents some of the most advanced innovation and technology applied across the civilian, commercial and military spectrum to undertake above and below ground asset condition assessment and measurement, trafficability assessment and a globally unique mechanism to help defeat Improvised Explosive Devices and other threats such as land mines. 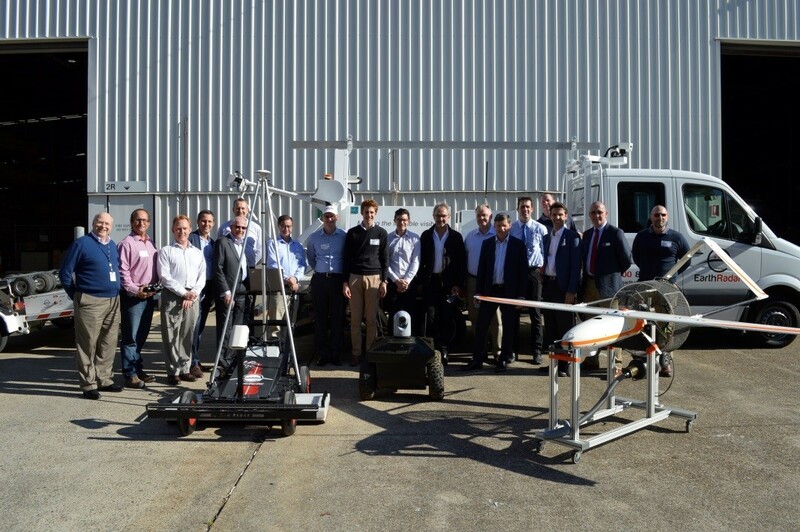 The five Queensland based companies are expert in the design and manufacture of military air and ground unmanned vehicles, the integration and application of cutting edge technologies to measure and manage surface and sub-surface assets and the application of integrated engineering, 3D modelling and visualisation capabilities. At a recent meeting in Brisbane, the five companies provided the consortium members and key external stakeholders a showcase of the collective capabilities that will enable capital infrastructure to be managed better and to enable our defence force to become more effective and efficient in applying an ever-increasing level of sophistication in technologies, equipment, systems and operational methods. For Calibre, the opportunity to be a leader in the application of these emerging technologies has enormous potential for wide ranging commercial solutions including defence, utilities, transport and intermodal network management, agribusiness, metals and minerals, energy and power, commercial infrastructure and urban development.